Stepanova E., "Humanitarian aspects of modern conflicts," in Pathways to Peace and Security, no. 1(54), 2018: Special Issue, pp. 11-43. Stepanova E., [Russia and the United States in the fight against terrorism: comparative threats and approaches, Syria, Afghanistan, countering violent extremism], in Addressing Terrorism, Violent Extremism and Radicalization (Perspectives from Russia and the United States), ed. by Ekaterina Stepanova (Moscow: IMEMO, 2017) [Pathways to Peace and Security. no. 1(52): Special Issue, May 2017], pp. 1354. Stepanova E. [Long-term forecast of trends in terrorism], in Puti k miru i bezopasnosti [Pathways to Peace and Security], no. 1(50), May 2016, pp. 3952. see also reprint in: Russia in Global Affairs; see also in English. Stepanova E., [The main trends in contemporary terrorism  Part II: regionalization of armed radical Islamist movements (the case of ISIS)] , in Security Index, vol. 20, no. 4(111), Winter 2014, pp. 4958. Stepanova E.A. 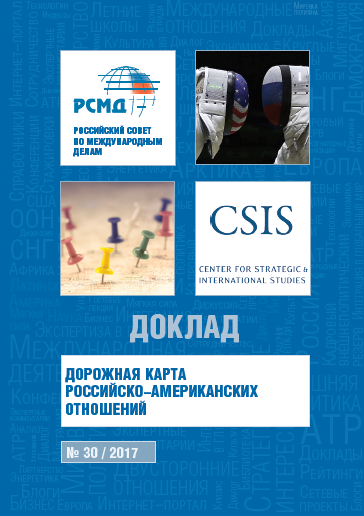 Politicheskii krizis v Afganistane i ego znacheniye dlya Rossii [The Political Crisis in Afghanistan and its Implications for Russia], Russian Council on Foreign Affairs analytical brief, 25 July 2014. See also in English. Stepanova E. (principal author). Afganskii narkotrafik: sovmestnaya otsenka ugrozy [Afghan narcotrafficking: a joint threat assessment], Report by Joint U.S.-Russia Working Group on Afghan Narcotrafficking (N.Y.; Moscow: EastWest Institute, Feb. 2014), 60 p.
ISBN 978-0-615-97679-2. Also available in English. Stepanova E.A. Rossiya, SShA i protivodeistviye narkotrafiku iz Afganistana [Russia, the USA and countering the narcotrafficking from Afghanistan], in Pro et Contra, vol. 17, no. 6(61), (Nov.-Dec. 2013), pp. 102119. Stepanova E. Bostonskiye vzryvy: odinokiye volki i bezlidernyi djihad posle al-Qayedy [The Boston bombings: a post-Qaeda take on lone wolves and leaderless jihad], PONARS Eurasia Policy Memo № 268, July 2013. Stepanova E. Afganistan posle 2014: perspektivy dlya Rossii [Afghanistan after 2014: Prospects for Russia], Russie.NEI.Visions, no. 71. (May 2013) [Paris: Institut français des relations internationales (Ifri)], 26 p. Also available in French and English. Stepanova E. Vooruzhyonnyi konflikt v Sirii i politika Rossii [The armed conflict in Syria and Russia's policy], in Puti k miru i bezopasnosti [Pathways to Peace and Security], no. 2(43) (November 2012), pp. 7-25. 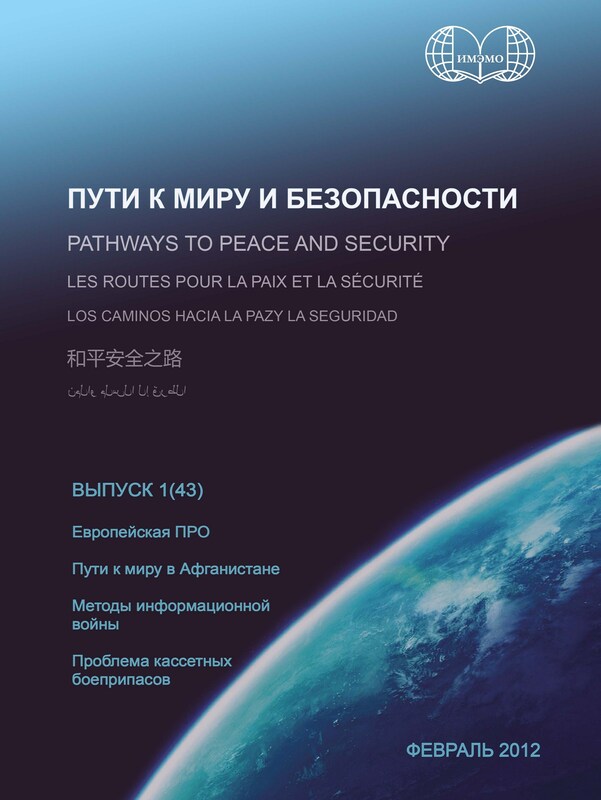 Stepanova E. Chuzhiye voiny ukhodyaschei epokhi [The alien wars of the passing age]: Book review, in Puti k miru i bezopasnosti [Pathways to Peace and Security], no. 2(43) (Nov. 2012), pp. 126-129. Stepanova E. Grazhdanskaya voina v Sirii: perekhodnyi protsess bez interventsii? [The Syrian civil war: transition without intervention? ], PONARS Eurasia Policy Memo no. 228 (Washington D.C.: Elliott School of International Affairs, George Washington University, September 2012), transl. from English. Stepanova E. Siriiskii krizis i formirovaniye vneshnei politiki Rossii [The Syrian crisis and the making of Russia's foreign policy], PONARS Eurasia Policy Memo no. 199 (Washington D.C.: Elliott School of International Affairs, George Washington University, May 2012), transl. from English. Stepanova Е. Afganistan: perspektivy politicheskogo uregulirovanija [Afghanistan: prospects for a political settlement], in Puti k miru i bezopasnosti [Pathways to Peace and Security], no. 1(42) (February 2012), pp. 1833. Stepanova Е. Transnatsional'nyie ugrozy: terrorizm, narkotraffik, piratstvo [Transnational threats: terrorism, drug trafficking, piracy], in Alexandr Dynkin and Natalia Ivanova (eds), Rossiya v politsentrichnom mire [Russia in a Polycentric World] (Moscow: Ves Mir, 2011), pp. 141148. Stepanova Е. Transnatsional'nyi terrorizm spustya 10 lyet posle teraktov 11 sentyabrya: spad, podyom ili transformatsiya? [Transnational terrorism ten years after September 11: decline, rise or transformation?] in Vestnik MGU. Series 25: International Relations and World Politics, no. 3 (2011), pp. 4–34. Stepanova Е. Arabskiye revolutsii: k dialektike prichin i sledstvii [The Arab revolutions: on dialectics of causes and consequences], in Puti k bezopasnosti [Pathways to Security], no. 40-41 (Moscow: IMEMO, 2011), pp. 4048. Stepanova Е. Vooruzhyonnyie konflikty, prestupnost' i kriminal'noye nasiliye [Armed conflict, crime and criminal violence], in Yezhegodnik SIPRI 2010 [SIPRI Yearbook 2010: Russian edition] (Moscow: IMEMO, 2011), pp. 3967, transl. from English. Stepanova E. Asimmetrichnyi konflikt kak nematematicheskaya kategoriya [Asymmetrical conflict as a non-mathematical category], in Index bezopasnosti [Security Index], vol. 17, no. 2 (Summer 2011), pp. 167172; also available in English. Stepanova E. Tendentsii v sfere vooruzhyonnyh konfliktov: odnostoronneye nasiliye protiv grazhdanskogo naseleniya [Trends in armed conflicts: one-sided violence against civilians], in Yezhegodnik SIPRI 2009 [SIPRI Yearbook 2009], transl. from English (Moscow: IMEMO, 2010), pp. 4176. Stepanova E.A. Terrorizm: problemy opredeleniya i funktsional'no-ideologicheskaya tipologiya [Terrorism: problems of definition and the functional-ideological typology], in Mirovaya ekonomika i mezhdunarodnyie otnosheniya [The World Economy and International Relations], no. 7 (2010), pp. 2332. Stepanova E.A. Asimmetrichnyi konflikt kak silovaya, statusnaya, ideologicheskaya i strukturnaya asimmetriya [Asymmetrical conflict as a power, status, ideological and structural asymmetry], in Voyennaya mysl' [Military Thought], no 5. (2010), pp. 4754. Stepanova E.A. Terrorizm kak ugroza kriticheskoi infrastrukture [Terrorism as a threat to critical infrastructure], in Svobodnaya mysl' [Free Thought], no. 4 (2010), pp. 3348. Stepanova E.A. Tendentsii v vooruzhyonnyh konfliktah [Trends in armed conflicts], in Yezhegodnik SIPRI 2008: vooruzheniya, razoruzheniye i mezhdunarodnaya bezopasnost' [SIPRI Yearbook 2008: Russian edition], (Moscow: IMEMO, 2009), pp. 5084; transl. from English. Stepanova E. Sovremennyie kontseptsii izuchenija mezhdunarodnyh otnoshenii [Modern Concepts in the Study of International Relations, last quarter of the 20th century - early 21st century], in Alexander Manykin (ed. )., Osnovy Obschei teorii mezhdunarodnyh otnoshenii [General Theory of International Relations: Main Approaches] (Moscow: Moscow State University Press, 2009), pp. 145174. Stepanova E. Global'nyie tendentsii v razvitii sovremennyh vooruzhyonnyh konfliktov [Global Trends in Contemporary Armed Conflicts], in Union Magazine, no. 1 (Sep. 2009), pp. 4053. Stepanova E. Sections V.1. Counternarcotics; V.2. Anti-terrorism; V.4. Emergency and humanitarian crisis response and prevention, in I.Yurgens, A.Dynkin and V.Baranovsky (eds. ), Arkhitektura yevroatlanticheskoi bezopasnosti [The Architecture of Euro-Atlantic Security] (Moscow: Ekon-Info for the Institute of Contemporary Development, 2009), pp. 8998, 102103; also available in English. Stepanova E., Gosudarstvo i chelovek v sovremennyh konfliktah [The state and the individual in modern conflicts], in Mezhdunarodnyie protsessy [International Processes] vol. 6, no. 1 (Jan.Apr. 2008), pp. 2940. Stepanova E., Organizovannaya prestupnost i terrorizm v mire i Rossii [Organized crime and terrorism in the world and in Russia], in Vladimir Baranovsky (ed. ), God planety 2007: ekonomika, politika, bezopasnost' [Year of the Planet 2007: Economics, Politics, Security] (Moscow, IMEMO, 2007), pp. 6376. Stepanova E., Mnogoobraziye i transformatsija terrorizma: s internatsionalom i bez [Diversity and transformation of terrorism: the Internationale and beyond], in Mirovaya ekonomika i mezhdunarodnyie otnoshenija (MEiMO) [World Economy and International Relations], no. 7 (July 2007), pp. 109119 (Book review). Stepanova E., Transnatsionalnoye dzhikhadistskoye dvizheniye i lokalno-regionalnyi islamistskii terrorizm v 2005-2006 gg. [Transnational jihadi movement and terrorism of Islamist bent at the local/regional level], in God planety [Year of the Planet] Moscow, IMEMO, no. 15, 2007. Stepanova E., Gumanitarnyi potentsial Rossii i vosstanovlenije ekonomiki konfliktnyh zon [Russias humanitarian potential and post-conflict reconstruction], in Mirovaya ekonomika i mezhdunarodnyie otnoshenija [World Economy and International Relations], no. 5 (May 2007), pp. 6578. Pikayev A. and Stepanova E., Yadernyi terrorizm: utopiya ili ugroza? [Nuclear terrorism: Utopia or threat? ], in Alexei Arbatov (ed. ), Razoruzheniye i bezopasnost 2004-2005: novyie podkhody k mezhdunarodnoi bezopasnosti [Disarmament and Security 2004-2005: New Approaches to International Security] (Moscow: Nauka, 2007), pp. 3773. Stepanova E., Osobennosti finansirovaniya transnatsionalnyh islamistskih setei v kontekste borby s mezhdunarodnym terrorizmom [Specifics of the financing of transnational Islamist networks in the context of the fight against international terrorism], [Disarmament and Security 2004-2005: New Approaches to International Security], pp. 145159. Stepanova E., Evolutsiya mezhdunarodnogo prava i rossiiskogo zakonodatelstva po protivodeistviyu terrorizmu [Evolution of the international anti-terrorism law and the Russian anti-terrorism legislation], in [Disarmament and Security 2004-2005: New Approaches to International Security], pp. 210232. Stepanova E., Islamistskij terrorizm segodnya: globalnyi i lokalno-regionalnyi urovmi [Islamist terrorism today: global and local/regional levels], in Index bezopasnosti [Security Index], vol. 13, no. 1(81), (Feb. 2007), pp. 7592. Pikayev A. and Stepanova E., Nerasprostranenije i yadernyi terrorizm [Non-proliferation and nuclear terrorism], in Alexei Arbatov and Vladimir Dvorkin (eds), Yadernoje oruzhije posle kholodnoi voiny [Nuclear Arms After the Cold War] (Moscow: ROSSPEN, 2006), pp. 310357. Stepanova E., Terrorizm i asimmetrichnyi konflikt: problemy opredelenija i tipologija [Terrorism and asymmetric conflict: problems of definition and typology], in Sovremennyi terrorizm: istoki, tendentsii i problemy preodolenija [Modern Terrorism: Sources, Trends and the Problems of Countering]; Notes of International University in Moscow, no. 6 (Moscow: International Univ. Press, 2006), pp. 177190. Stepanova E., Organizatsionnyje formy globalnogo jihada [Organizational forms of global jihad], in Mezhdunarodnyje protsessy [International Processes], vol. 4, no. 1(10), (Jan.Apr. 2006), pp. 95104. Stepanova E., Narkobiznes, vooruzhyonnyje konflikty i dvizhenija sotsialno-politicheskogo protesta v Kolumbii, Peru i Bolivii [Illicit drug business and socio-political protest movements in Colombia, Bolivia and Peru], in Eksport vooruzhenij [Arms Exports], no. 3 (MarchApr. 2006), pp. 5662. Stepanova E. OBSE i rossiisko-amerikanskoye sotrudmichestvo v bor'be protiv terrorizma [The OSCE and the Russia-U.S. cooperation in the fight against terrorism], in Yezhegodnik OBSE 2002 [OSCE Yeabook 2002] (Moscow: Human Rights Publ., 2005). See also in English and German. Stepanova E., Rossija, OON i protivodeistvije terrorizmu: pravovyje i prakticheskije aspekty [Russia, the UN and anti-terrorism: legal and practical aspects], in Yezhegodnik SIPRI 2005 [SIPRI Yearbook 2005, Russian Edition] (Moscow: Nauka, 2006), pp. 835849. Stepanova E., Protovideistvije finansirovaniju terrorizma [Supression of terrorism financing], in Mezhdunarodnyje protsessy [International Processes], vol. 3, no. 2(8), (MayAug. 2005), pp. 6673. Stepanova E., Bor'ba s terrorizmom i operatsii po podderzhaniyu mira: osobennosti vzaimosvyazi [Anti-terrorism and peace operations: specifics of the linkage], in A.Nikitin (ed. ), Mirotvorcheskiye operatsii, parlamenty i zakonodatel'stvo [Peace Support Operations, Parliaments and Legislation] (Moscow: Center for Political and International Studies (CPIS); Geneva Center for Democratic Control of the Armed Forces (DCAF), 2004), pp. 158168. Stepanova E., Nezakonnyi oborot narkotikov i yego vzaimosvyaz s konfliktami i terrorizmom (Afganistan i Tsentralnaja Azija) [Illicit drug trafficking and its links to conflicts and terrorism: Afghanistan and Central Asia], in Razoruzhenije i bezopasnost [Disarmament and Security, 20012002] (Moscow: Nauka, 2003), pp. 5772. Stepanova E., Rossija i problemy regulirovanija lokalno-regionalnyh konfliktov. Mirotvorcheskaya dejatelnost  [Russia and the problems of local/regional conflict management. Peacekeeping], in Razoruzhenije i bezopasnost, 2001-2002 [Disarmament and Security, 20012002] (Moscow: Nauka, 2003), pp. 114141. Stepanova E., Albanskij faktor v makedonskom konflikte [The Albanian factor in the Macedonia conflict], in Albanskij faktor krizisa na Balkanah [The Albanian Factor in the Balkan Crises] (Moscow: INION RAN, 2003), pp. 87103. 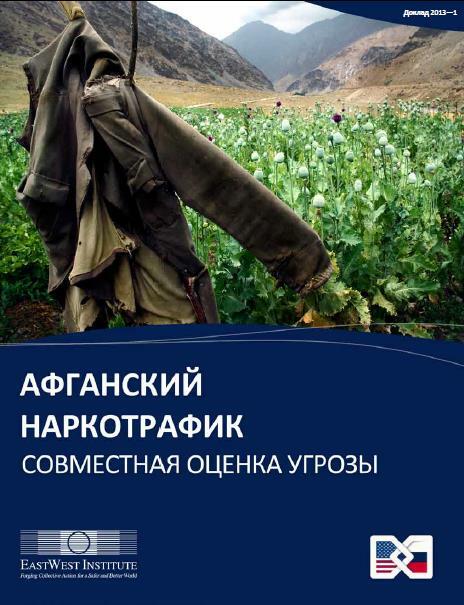 Stepanova E., Nezakonnii oborot narkotikov v Afganistane i v Tsentral'noi Azii v kontekste antiterroristicheskoi kampanii [Illicit drug trade in Afghanistan and Central Asia in the context of anti-terrorism campaign], in Yadernii Kontrol' [Nuclear Control], no. 5 (Sep./Oct. 2002), pp. 3749. Stepanova E., Theories of international relations: present state of the discipline, in A.Manykin (ed. ), Introduction to International Relations Theory (Moscow: Moscow State Univ. Press, 2001), pp. 93113. Stepanova E., Internationalized internal conflict as the main type of local and regional armed confrontation in the post-bipolar world, in Conflicts and Crises in International Relations: Problems of Theory and History (Moscow: MAX Press, 2001), pp. 89110. Stepanova E., Religious peace at the time of war: the role of the religious factor in the Macedonian crisis, in NG-Religion, no. 16 (87) (22 Aug. 2001). Pikayev A. and Stepanova E. (eds. ), Russia-U.S. Relations under the Bush Administration: PONARS Policy Memos no. 187-195 (Moscow: 2001). Stepanova E., Russia and NATO crisis management strategy, Russia and European Security Institutions: Entering the 21st Century (Moscow: Carnegie Moscow Center, 2000), pp. 134173. Stepanova E., Politika SShA v otnoshenii Kosovskogo konflikta [U.S. Policy on the Kosovo conflict], in D.Trenin and E.Stepanova (eds), [Kosovo: International Aspects of the Crisis] (Moscow: Carnegie Moscow Center, 1999), pp. 158211. Stepanova E., The impact of the 1991 Persian Gulf War on the theory and practice of the US regional conflict management, in Moscow University Review, no. 3 (1998), pp. 3656. Stepanova E., Regional conflict management policy of the Clinton administration,, in USA and the World (Moscow State Univ. Press, 1997), pp. 117133. Manykin A.S., Stepanova E.A., Formirovanije novoi sistemy mezhdunarodnyh otnoshenii i jugoslavskii krizis [The formation of the new system of international relations and the Yugoslav crisis], in Na rubezhe vekov [At the Turn of the Century], no. 1 (Jan.-March 1997), pp. 5563. Stepanova E., Deitonskije dogovoryonnosti po Bosnii i geopoliticheskije interesy Rossii [Dayton accords on Bosnia and Russia's geopolitical interests], in Biznes i politika [Business and Politics], no. 2(15) (1996), pp. 5863.